Two faculty members from the UP Visayas recently qualified for the Invention Disclosure Incentive, a monetary award launched last year to enlarge and enhance the University’s intellectual property portfolio. 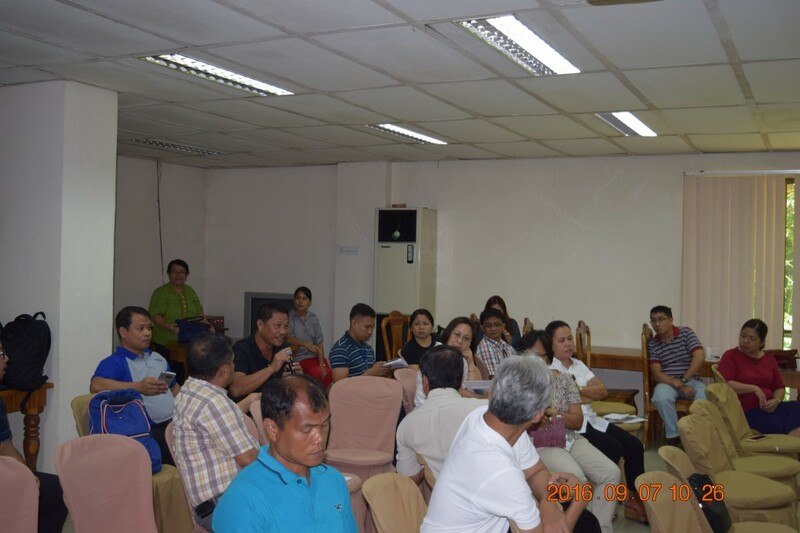 At the Invention Disclosure Clinic held on 7 September 2016 in UP Visayas, Prof. Ernestina Peralta reported her research on producing oyster powder while Prof. Ernesto del Rosario described his work on the fish feeder, both by means of confidential forms. Their works were chosen by the Executive Committee of the UP System Technology Transfer and Business Development Office (TTBDO) for their inventiveness, industrial application and commercial potential. Under the incentive, each invention will receive 40,000 pesos to be released in two tranches: 15,000 pesos after the disclosure is assessed and accepted, and 25,000 pesos once the patent is filed. The University will also assist recipients throughout the technology transfer process including intellectual property protection and dissemination. laboratory while some, particularly software, have been field-tested. The invention disclosures brought to the clinic have already been screened by the counterpart of the TTBDO in UP Visayas. The clinic began with talks from TTBDO director Dr. Luis Sison and TTBO business development and biotech enterprise consultant Dr. Al Serafica. Thereafter, each researcher was given time for a one-on-one counselling with a TTBDO officer. 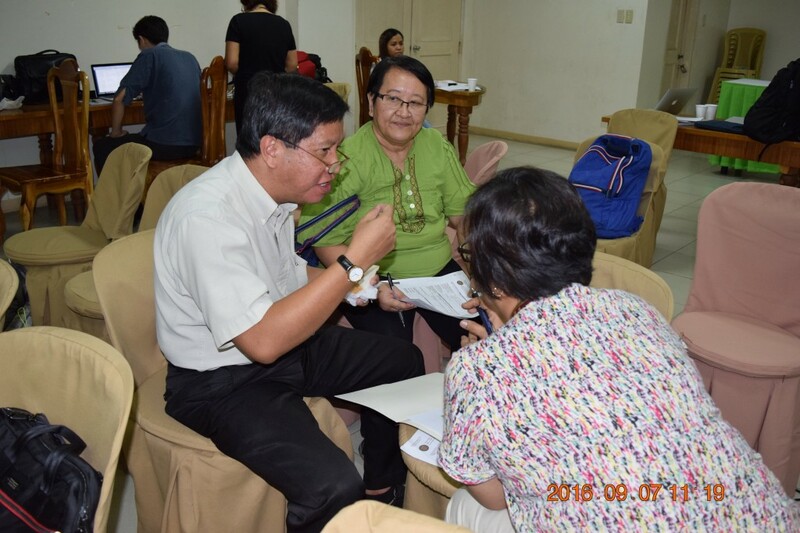 The clinic was organized by the TTBDO, together with the UP Visayas Office of the Vice Chancellor for Research and Extension, and the Office of the Vice Chancellor for Planning and Development. Operating under the Office of the Vice President for Academic Affairs, the TTBDO is in charge of the disclosures of all works created and inventions conceived or first reduced to practice by all university personnel. It also advises university researchers on the best route to market for a particular technology or invention. 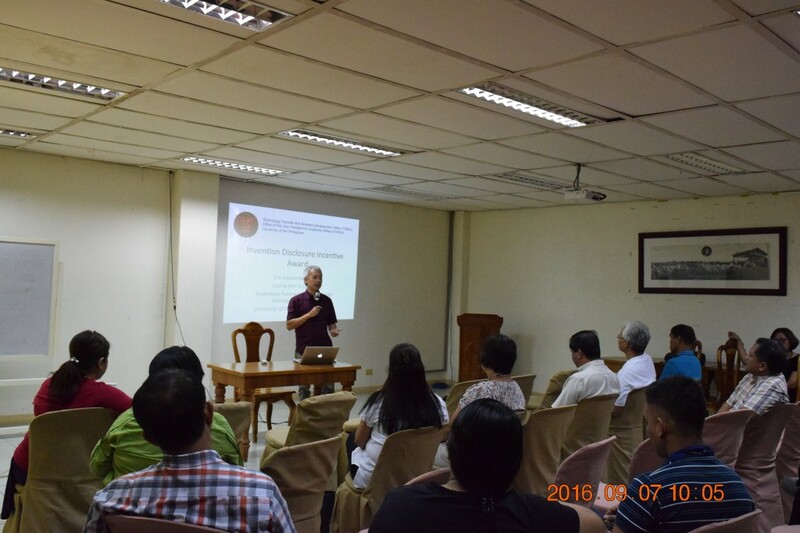 The first clinic, which led to 14 invention disclosures, was held in July 2015 in UP Diliman.